The wedding industry has a language of its own, and you’re probably not used to hearing and using these words every day. 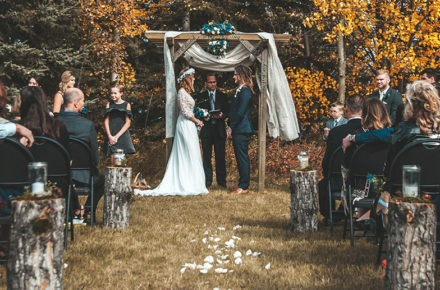 We’ve gathered some of the most common and what we deem the most important to get you started on learning the words and terms you’ll need to understand when planning your wedding. Day of Coordinator: The ideal choice for couples who may not want (or be able to afford) a full-service planner but still want a pro the day of the wedding to assure everything goes smoothly. Venue Coordinator: An employee of the wedding reception venue that acts as a liaison between the bride and groom and the venue’s operations team. Every venue’s Coordinator’s roles may vary, but typically their focus is solely to deliver their contracted services and oversee the building as a whole. Food & Beverage Minimum: This is your contracted minimum spend with your caterer, regardless of whether they are through your venue or independent from the space. In most cases, it does not include venue rental fees, service fees or taxes. Be sure you’re clear on what counts towards your minimum. Please please understand that your food and beverage minimum is NOT an estimate of your actual spend. Per Person: The PP that appears next to the pricing you see on your contracts that indicates the cost per guest. You’ll want to keep an eye out for this type of pricing structure on anything that involves your catering or liquor choices. headaches, require our guests to respond “yes” or “no” at least two to three weeks before the wedding. 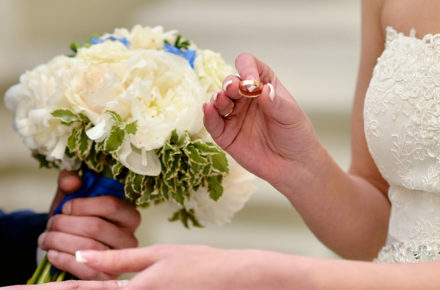 Certificate of Insurance: Also known as COI, it’s common practice for event venues to require vendors working in the space, especially florists, photographers, caterers, and musicians to submit proof of general liability insurance in the amount of at least $1 million and to list the venue as additionally insured for the wedding date. That way, if anything goes wrong, neither the venue nor you are responsible. Corkage Fee: Unless provided by your caterer, many venues and caterers charge an opening fee per bottle of alcohol, wine or champagne that you supply. The price per bottle can range drastically, so ask ahead of time about your venue’s regulations surrounding alcohol. Then factor the additional cost into your budget if you plan to bring your own bottles of vino or are envisioning an elaborate champagne toast at the reception. Marriage License: Obtained from a state registrar’s office before your wedding, a marriage license grants you permission to legally wed. After the signed license is filed, you’ll receive a marriage certificate as a record of your union.